Dry roast all the above on a hot griddle one by one. Cool completely and grind. Store in an airtight box. Pulp and strain it. 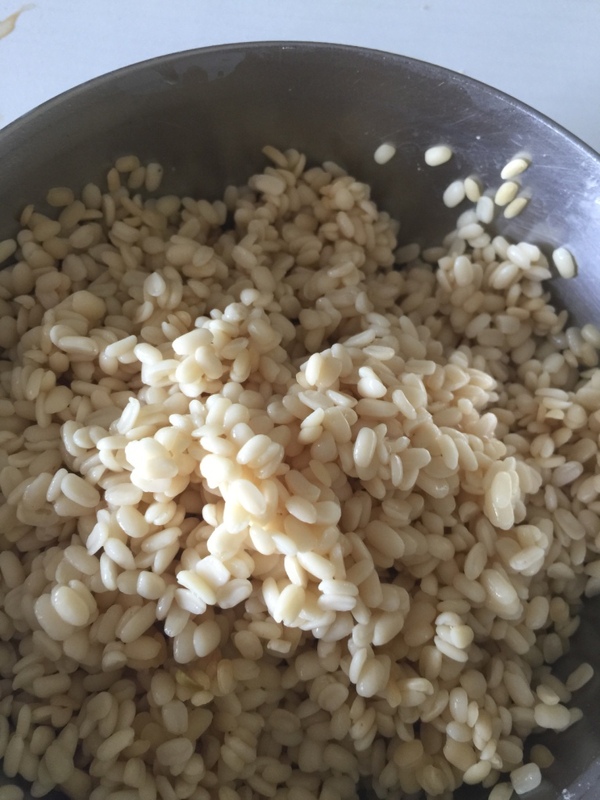 Add 2 ½ cups of water to the pulp. 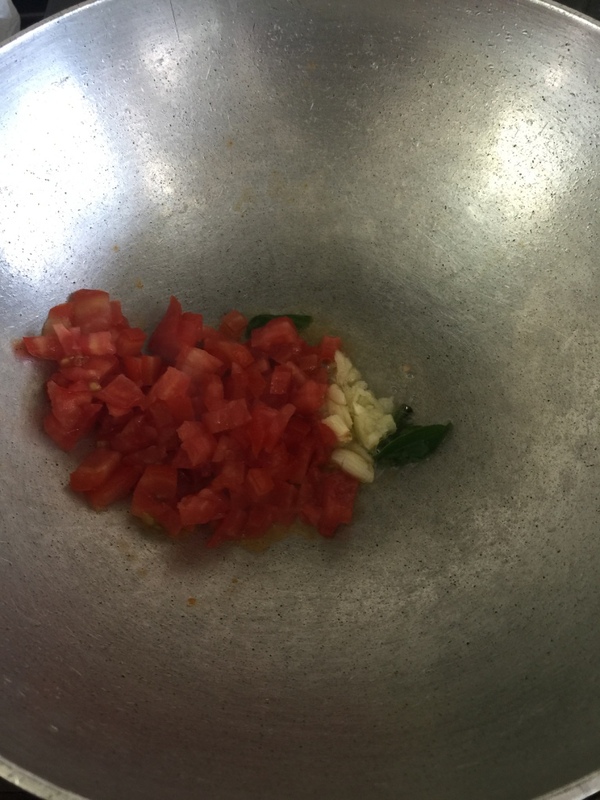 Heat a tsp of ghee and add garlic, curry leaves and tomatoes. Cook stirring for 3-4 minutes till the tomatoes are mushy. Add the tamarind water, salt and turmeric and bring to boil. 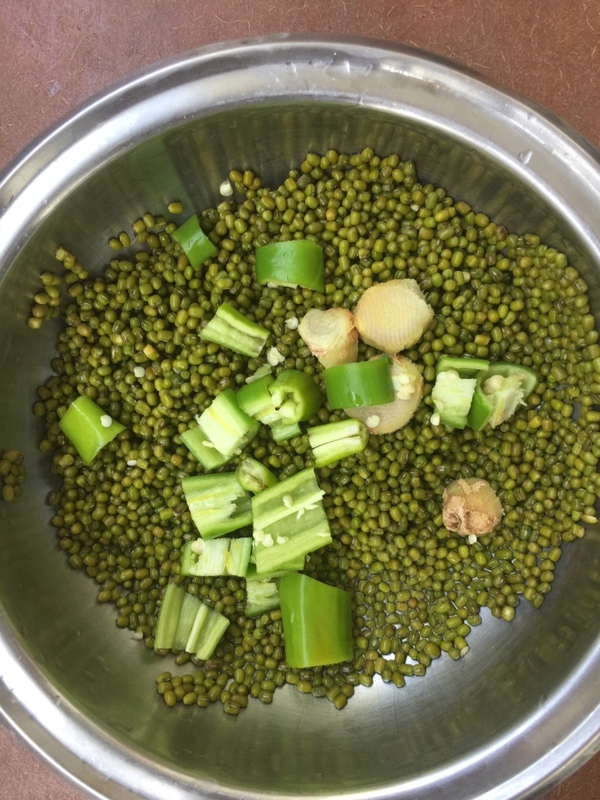 The diluted tur dal can be added at this point (If using). Add more water if needed. 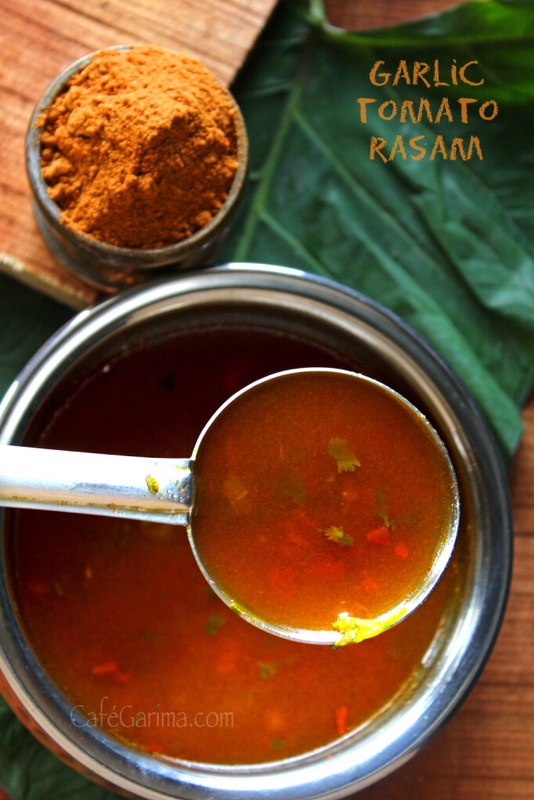 The rasam has to be nice and watery. 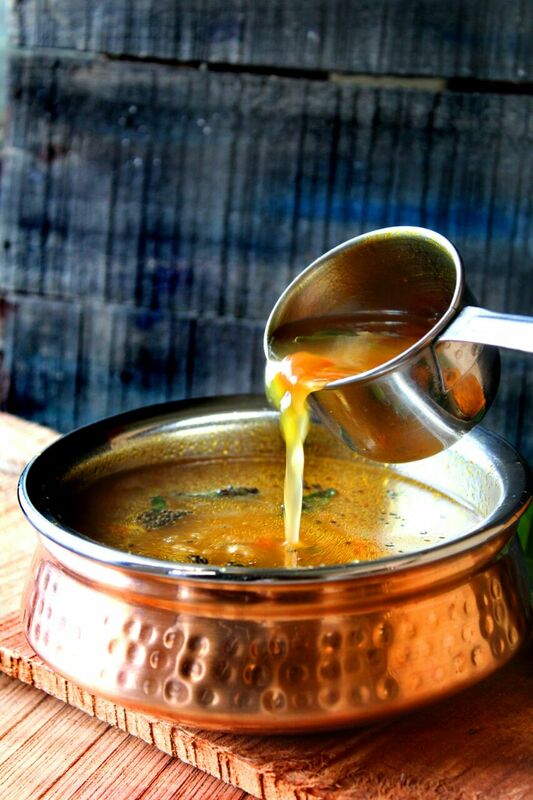 Add the Rasam powder and just bring to a froth and take off the heat. 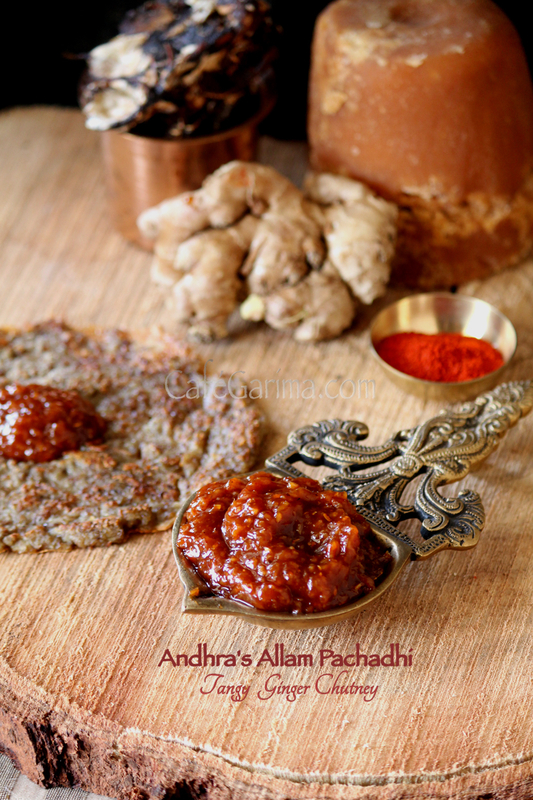 Tempering – Heat ghee and add heeng and rai. As soon as the rai starts to crackle, take off the heat. 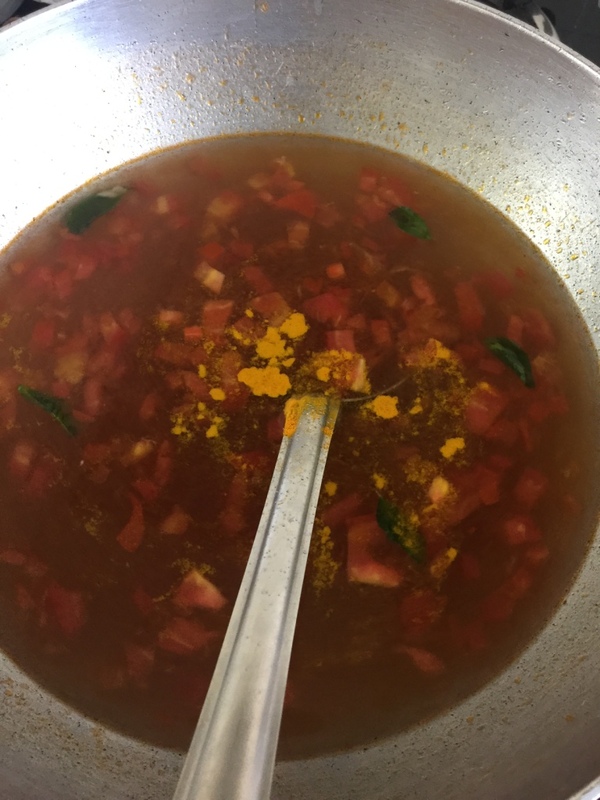 Add the curry leaves and pepper powder and spread over the rasam. 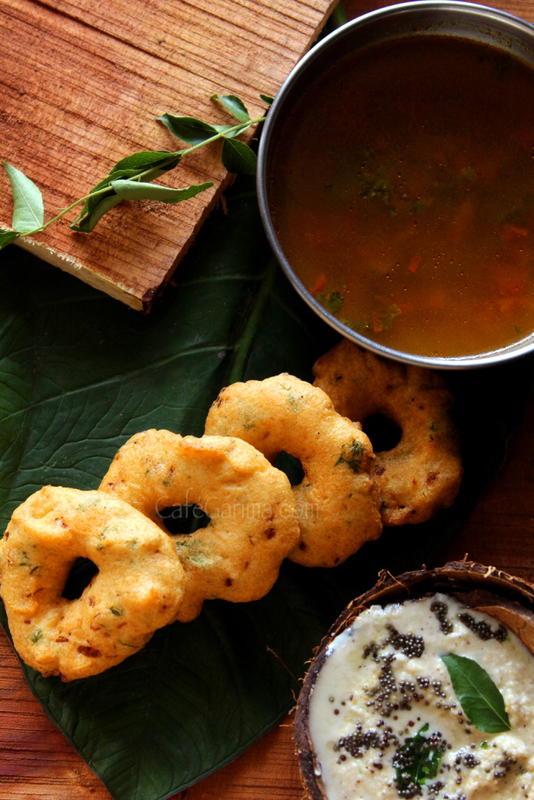 Serve hot with medu vada! 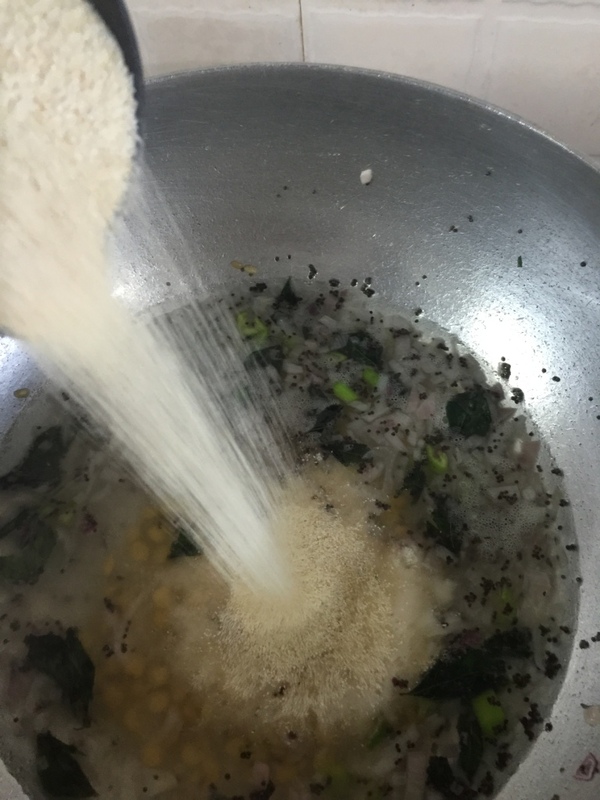 Add all the other listed ingredients to the batter and mix well. 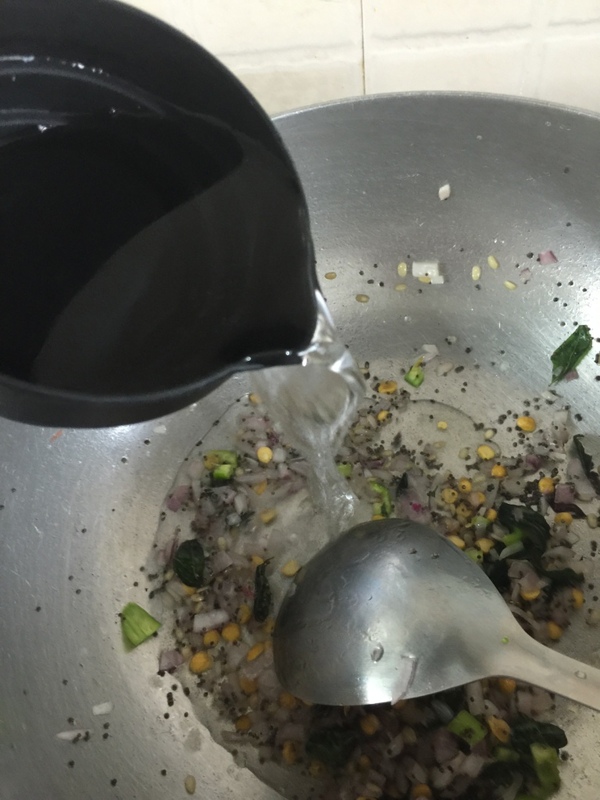 Pour oil generously in a kadai/wok. 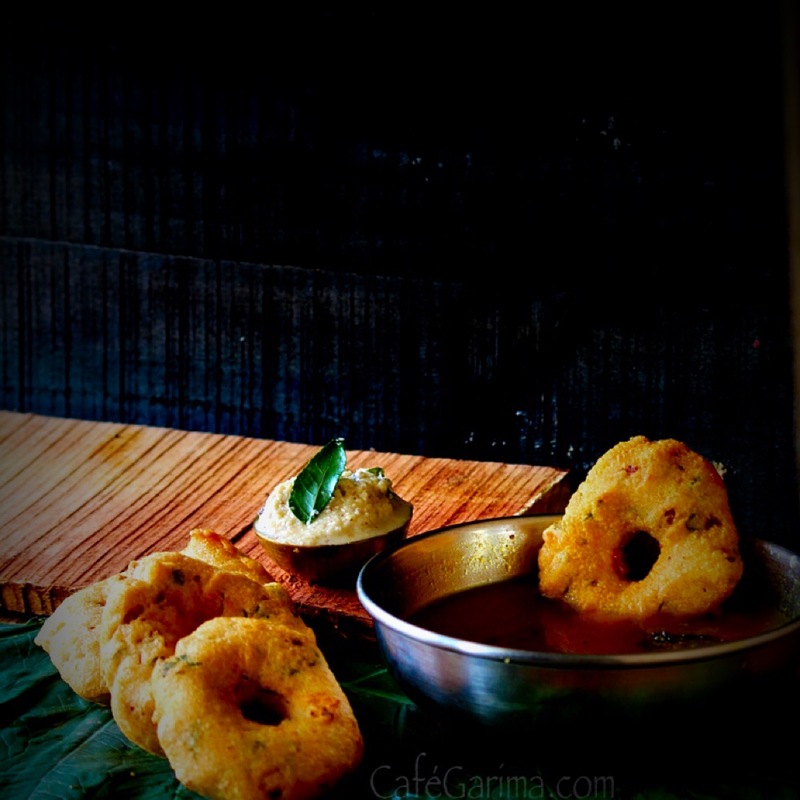 Don’t be skimpy with oil, else the vadas will stick to the bottom of the wok. Take a clean plastic sheet. Moisten the sheet and your hands. 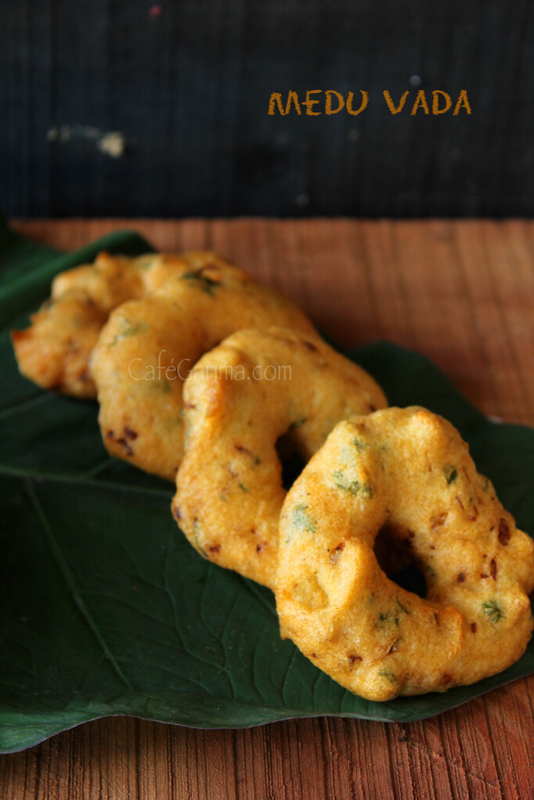 Take 2 tsbp batter and make the vadas. Drop gently into the oil and fry on medium heat till golden brown. Serve hot! This light and quick fix breakfast is healthy and versatile. 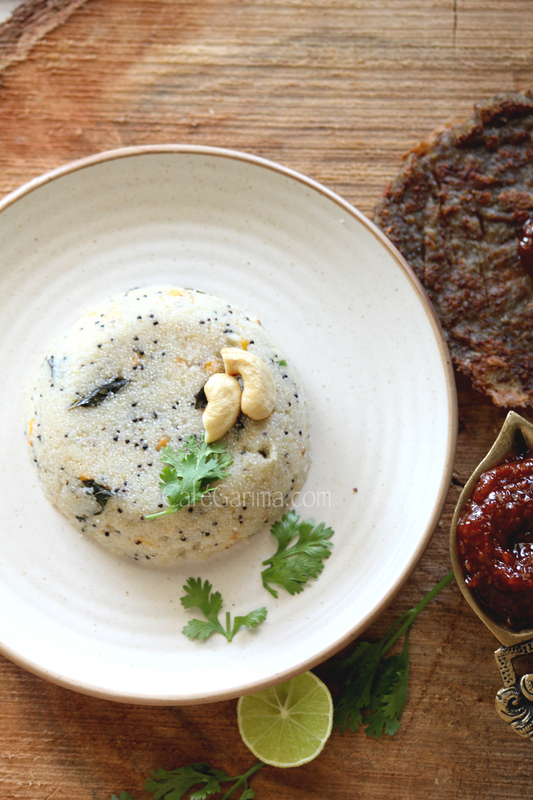 You can make it just with the basic tempering of mustard seeds and curry leaves or as many seasonal vegetables as you want, to make a mixed vegetable Upma. 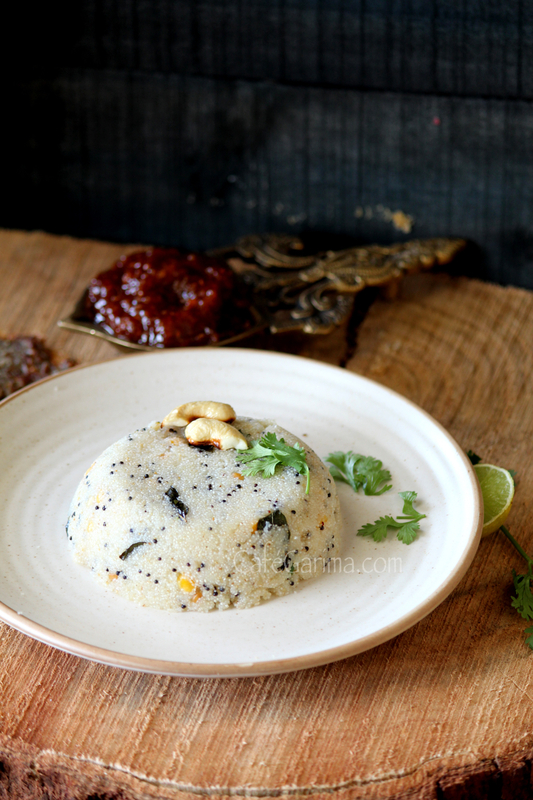 Although it may be made in oil, but the taste of the ghee-roasted upma is unsurpassable. 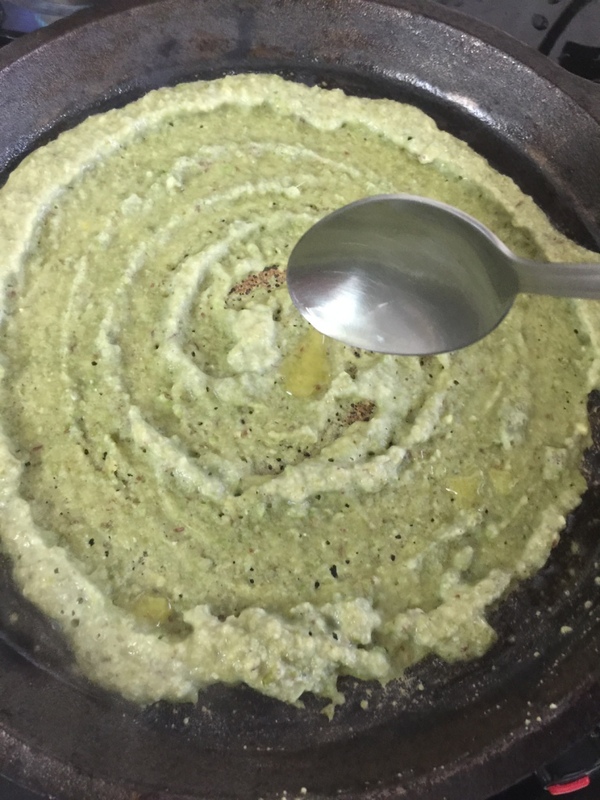 Roast the semolina in 1 tsp of ghee till it begins to change colour and gives a toasty aroma. In another pan, heat the remaining ghee and splutter the mustard. Keep the heat on medium. Add the cashew nuts and roast them till they get light brown. 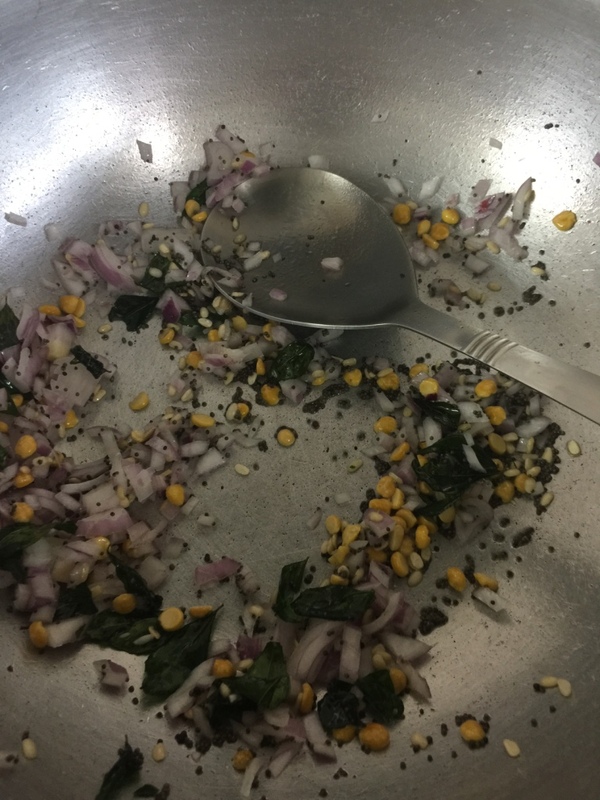 Add curry leaves and the soaked dals and stir for a minute. Add onions and fry them till they begin to brown. Add green chillies (and any vegetables if using) and stir for a minute. Increase the heat to full. Add water and bring to a boil. Add the lime juice. 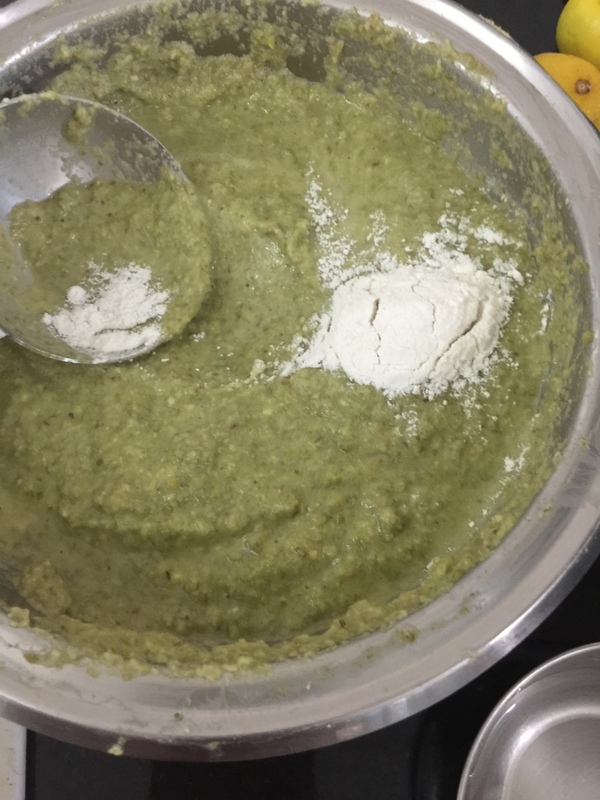 Slowly add the semolina, stirring continuously till the upma comes together and loose fudge like consistency is reached. Sprinkle fresh coriander, mix well and serve immediately. 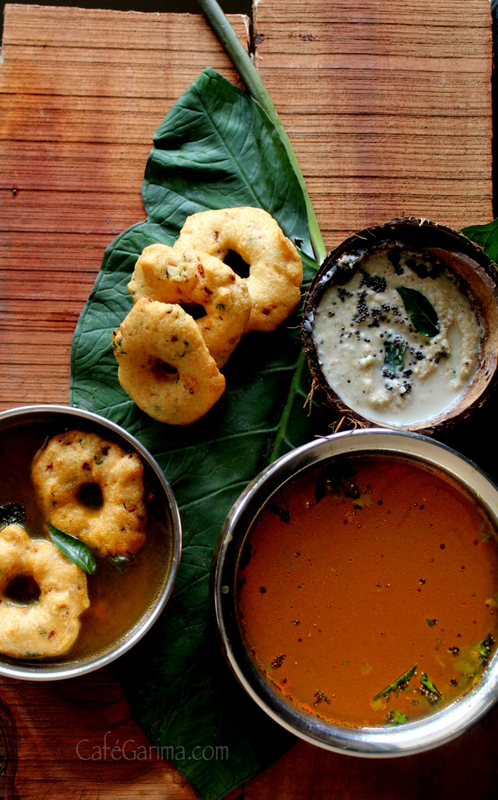 Andhra Pradesh is destination next on my Dakshin Samyal aka my Southern sojourn. 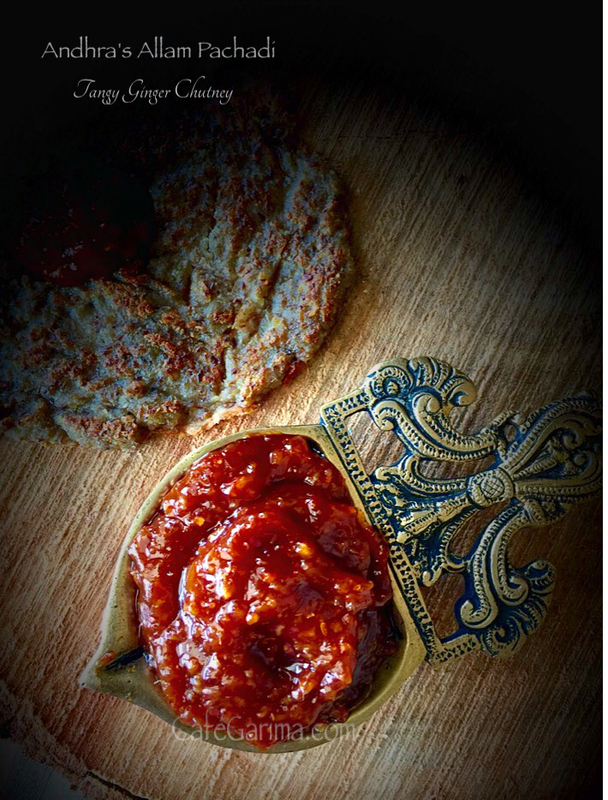 My friend Sushma, was kind enough to share some of her family recipes with me and I was able to get together this meal. 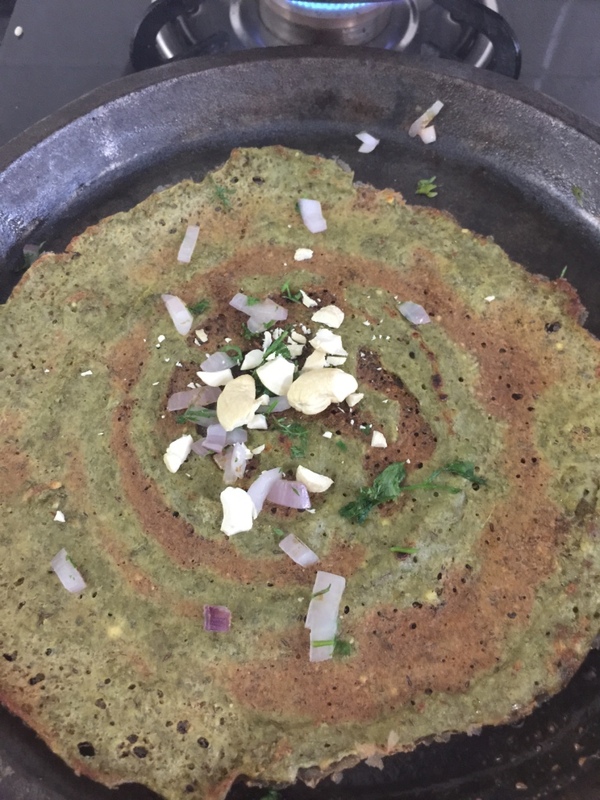 The MLA Pesarattu, called so because it is popular in the the MLA quarters at Hyderabad. 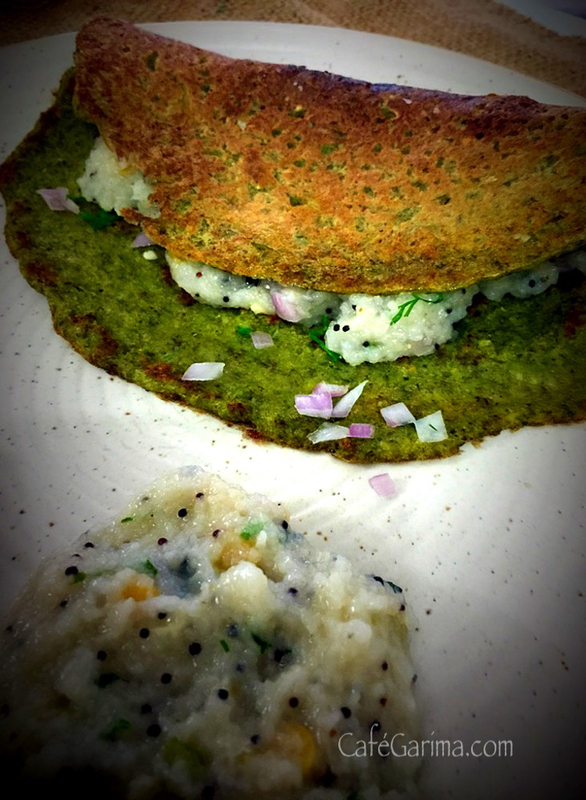 The green lentils dosas are roasted in ghee and served with a tangy ginger tamarind chutney (Allam Pachadi) and ghee laden Upma. A rich platter! 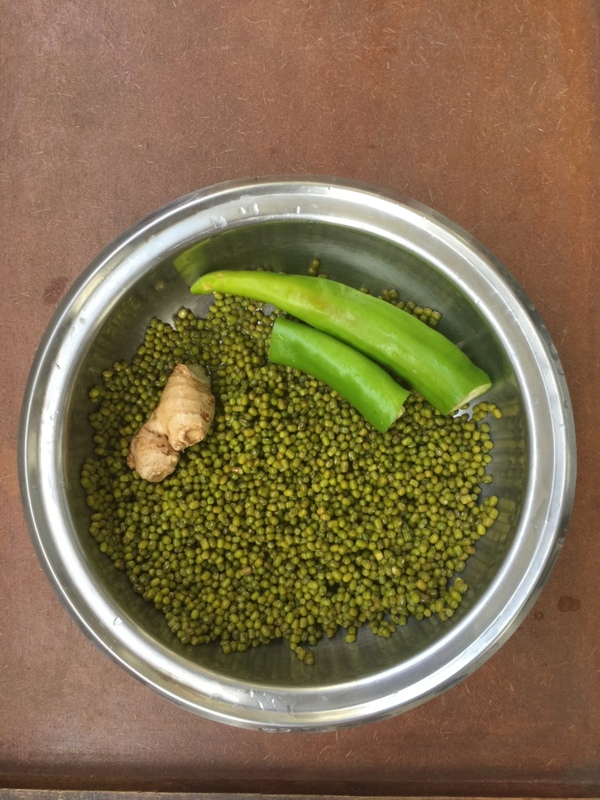 Chop the ginger and green chilles into large chunks and soak them with the dal in enough water for 4-5 hours. Rinse and blend into a thick paste. Do not throw the water used to soak. Add as required while grinding. Do not add too much. We need a thick batter. 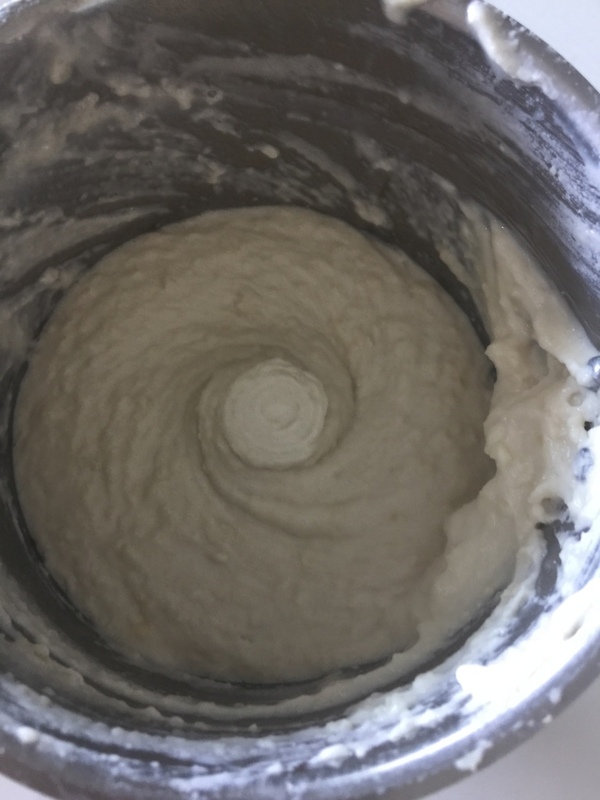 Some rice flour may be used if the batter is difficult to work with. 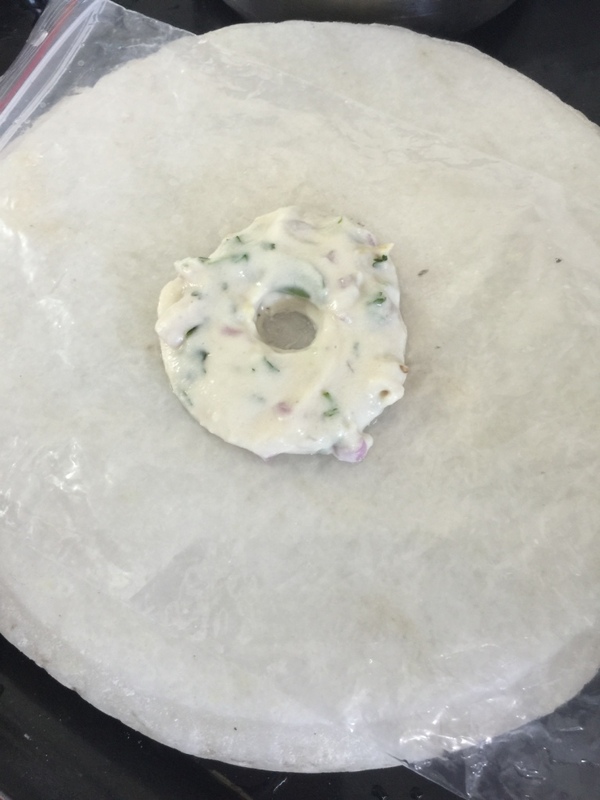 Add salt just before making the pesarattu. Heat a heavy griddle. Sprikle water and wipe. 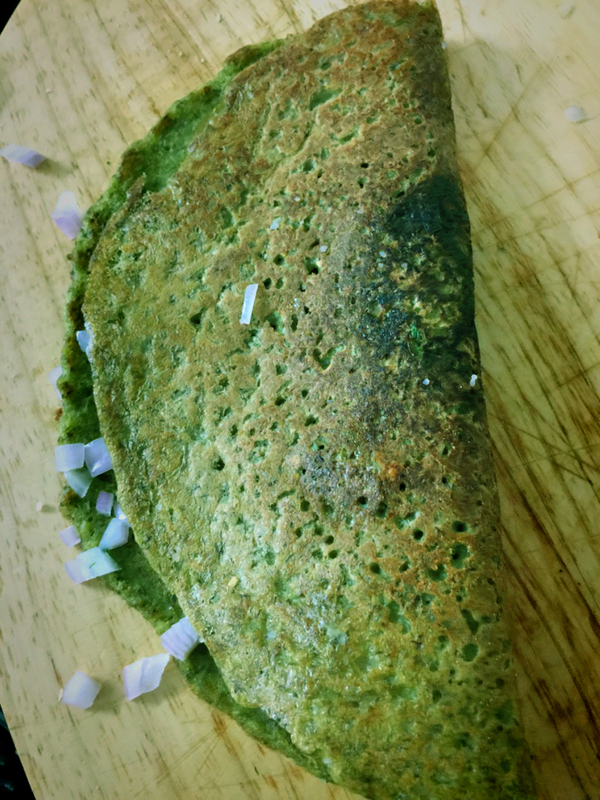 Immediately, spread a ladle of the batter like a dosa. 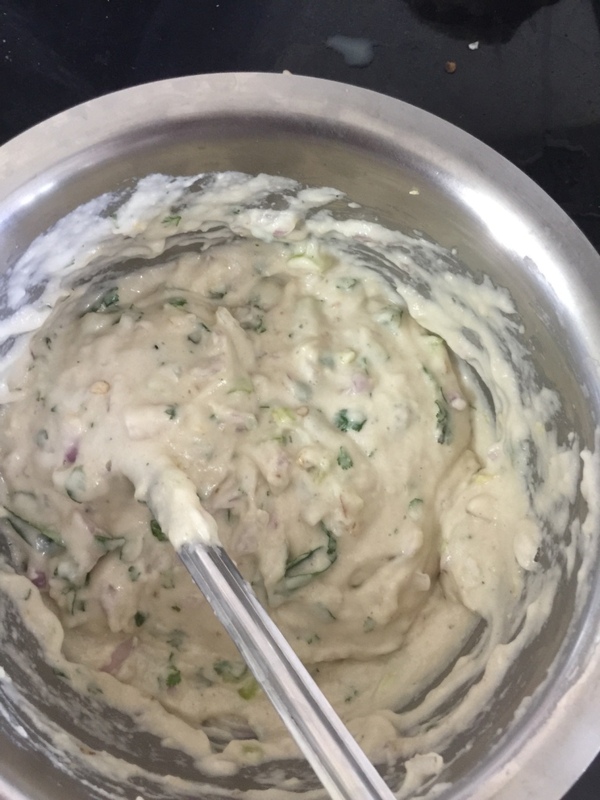 Drizzle some ghee around and in the centre. 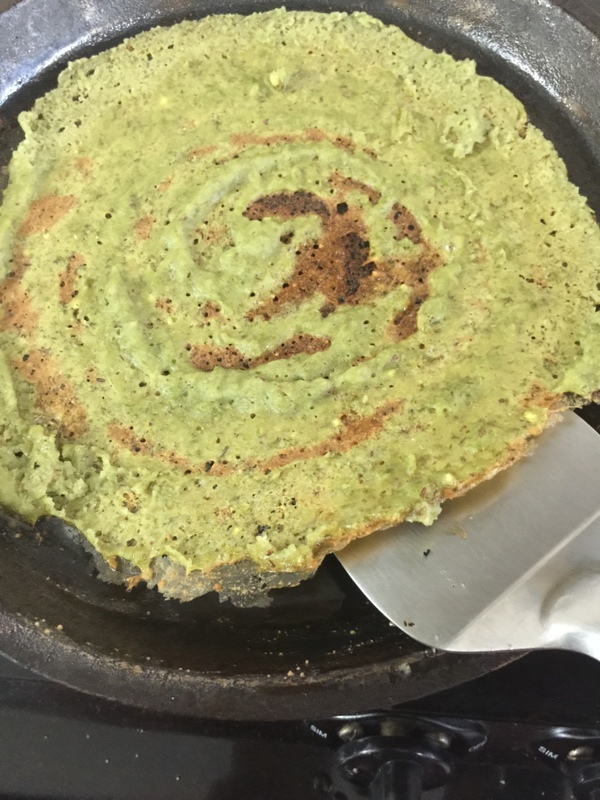 Spread a little thick for sofe pesarattu and really thin for crisp ones. Lower the flame and cook till done. If required, flip and cook the other side. 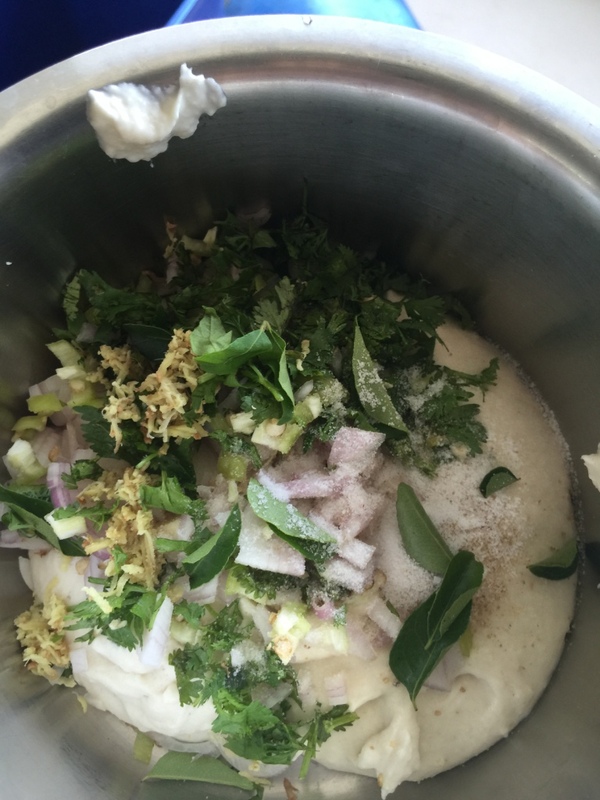 On top of it sprinkle the onions, cashews and coriander. 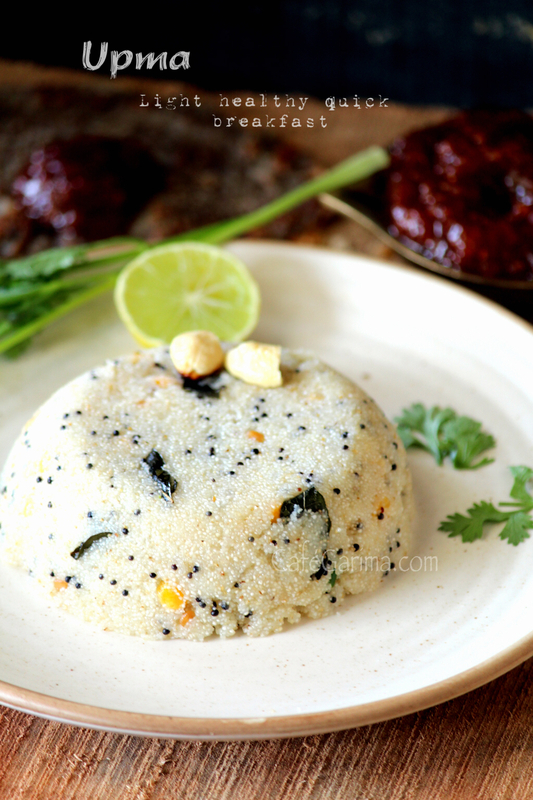 Spread two tablespoons of upma ( Find recipe here) inside the pancake and serve hot with the tangy garlic chutney. 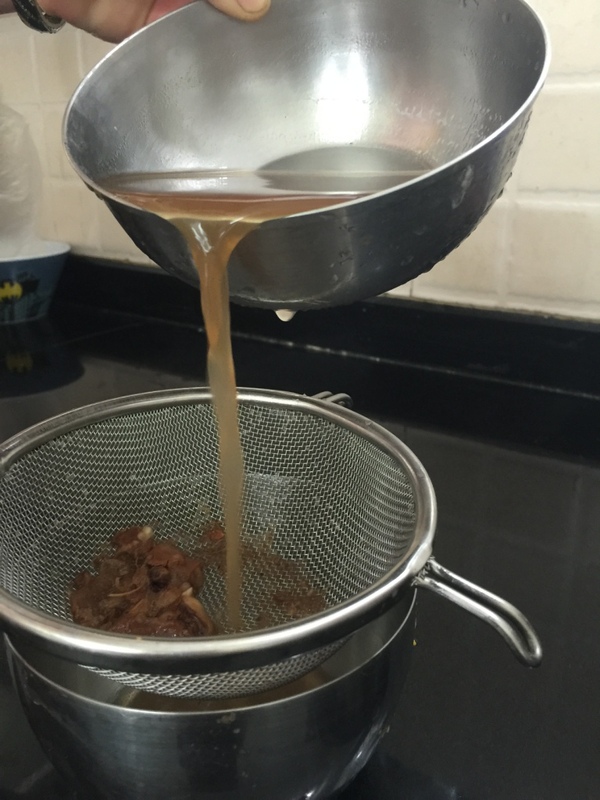 Soak the jaggery in tamarind pulp for 2 hours. After the mixture has been soaking for 2 hours, heat the oil and sauté the ginger in it. 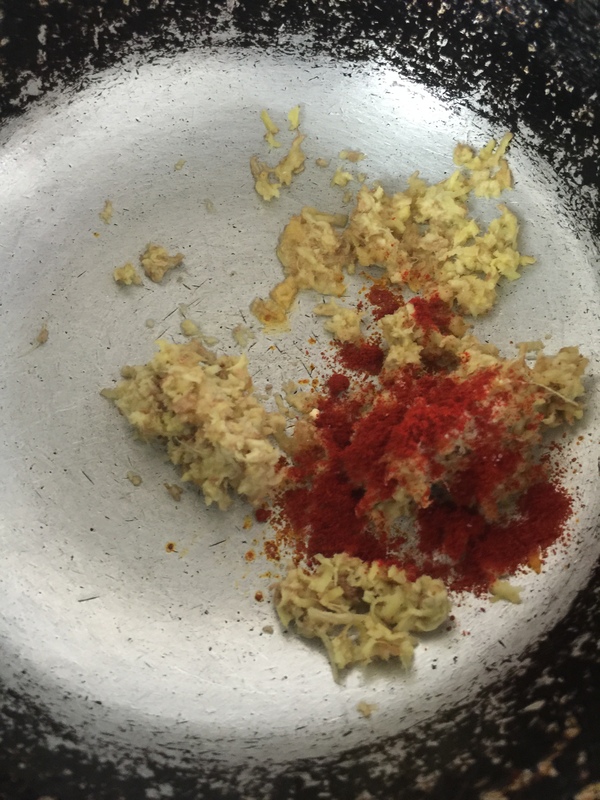 Add salt and chilli powder, stir for a few seconds and remove. 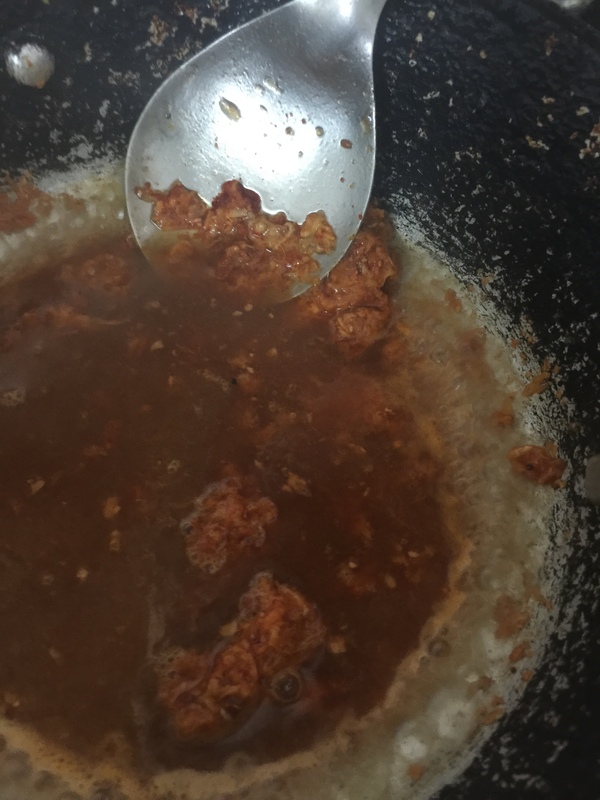 Cool and add the sautéed ginger to the tamrind jaggery mixture. Soak for another 2 hours to imbibe all the juices and the flavours to come together. 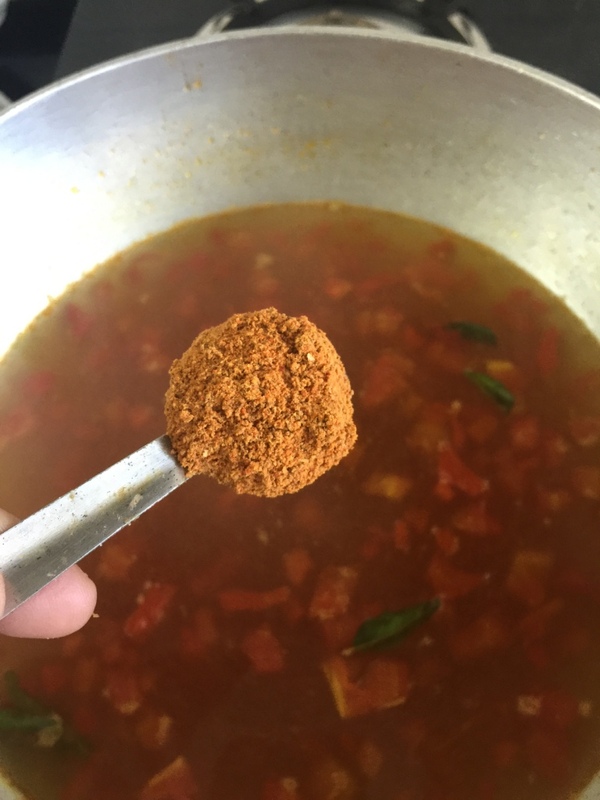 Blitz the mixture and cook on the gas on low heat for about 40 minutes to an hour to get a sticky spicy delicious ginger tamarind chutney! Yum 😀 :DBe careful. 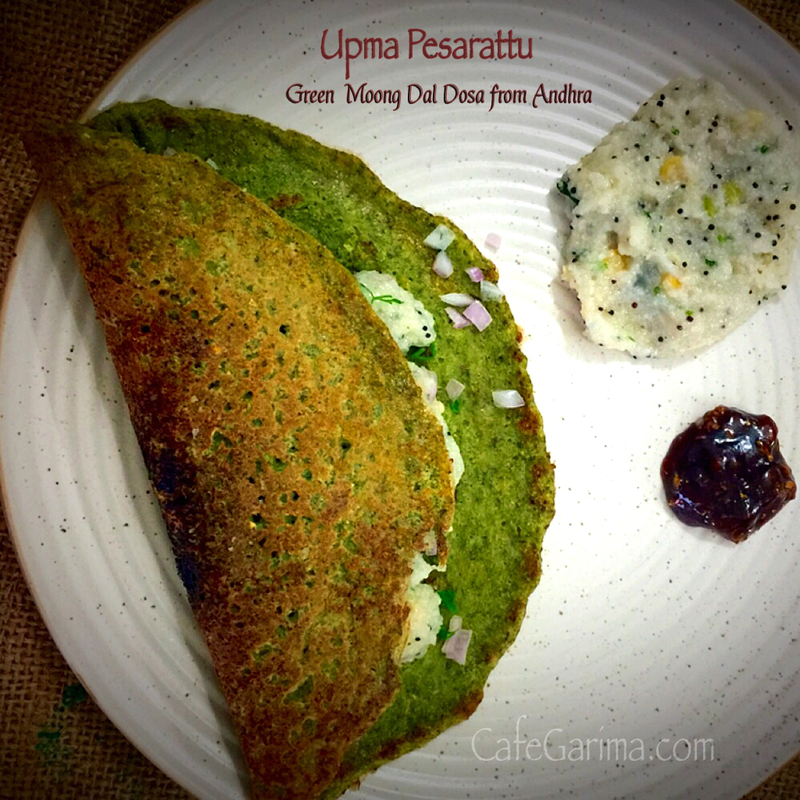 If you don’t stop ‘tasting’, you might have none left to serve with the pesarattu. 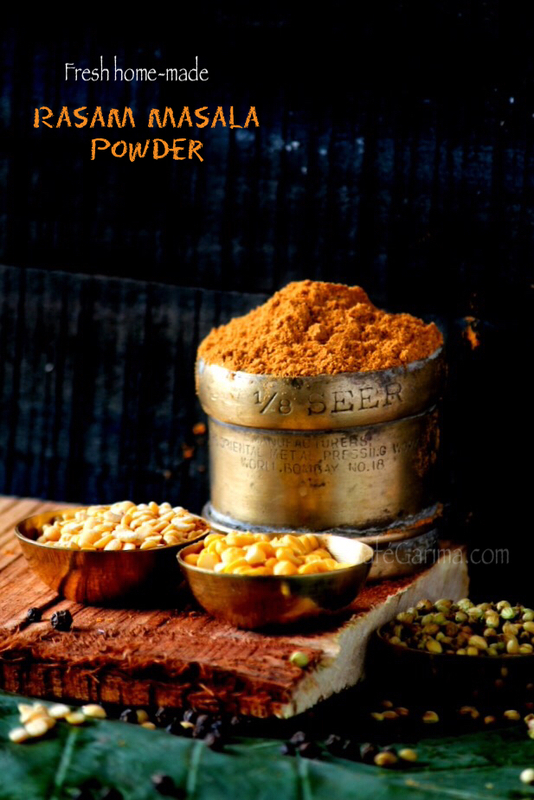 Works well with dosas too.